Jason Kravitz (Brussels, Belgium) on 6 October 2009 in People & Portrait. Yum! 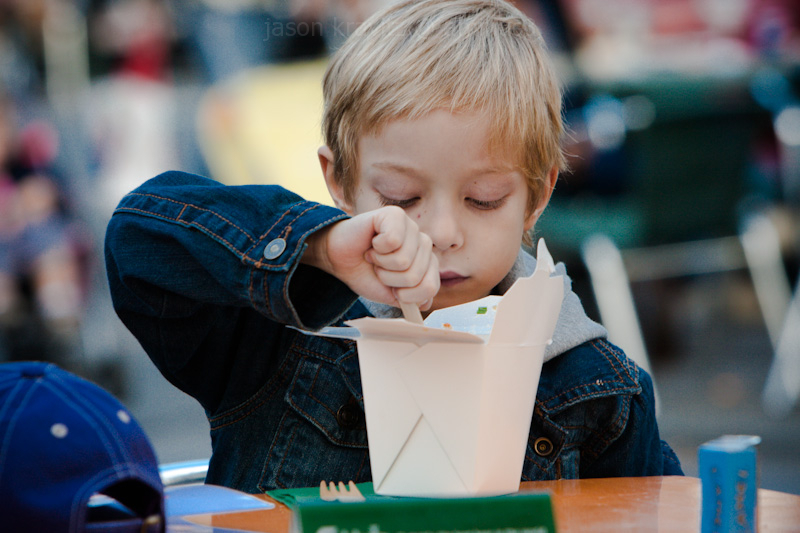 I hope one day to have my children eat Chinese food. Right now my daughter is the only one who will touch it! Love his eyes peering into the box!